Utilise a direct link to social media including LinkedIn, Twitter etc. and additional information via blogs and knowledge sharing posts. This is your opportunity to support women in business throughout the Commonwealth do just that. They say that it is the journey not the destination that counts. This is your opportunity to be a part of a unique journey. A journey focused on business, on women, on economic development and empowerment. A journey for growth. 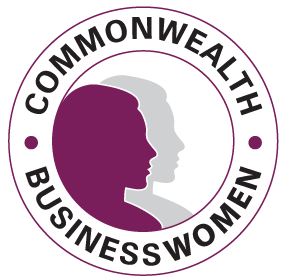 CBW’s focus on leveraging technology to establish a platform to enable and encourage trade and capacity-building for women in business across the Commonwealth not only anticipates but leads a global shift in harnessing the potential and power of women, demographics and technology to drive economic growth. Globally no other women’s business platform is focused on the lifecycle of a business and providing the tools, support and connectivity for that business journey. Leveraging the unique Commonwealth assets of common legal infrastructures, shared knowledge and relationships and a reduced cost of doing business between any two Commonwealth countries, the CBW BusinessXchange platform will deliver outcomes by leveraging opportunities from women in business – including in the rural economy, in service businesses and for small states, all of which are especially important for the Commonwealth community which now accounts for 20% of world trade.